Heat 1 tablespoon olive oil to a large skillet over medium high heat. Add green onions and cook for approximately 5-7 minutes until a nice char develops on all sides. Thinly slice and place in a large bowl. To the same bowl add dill, tarragon and lemon juice. Slowly drizzle in olive oil while whisking and season to taste with salt and pepper. 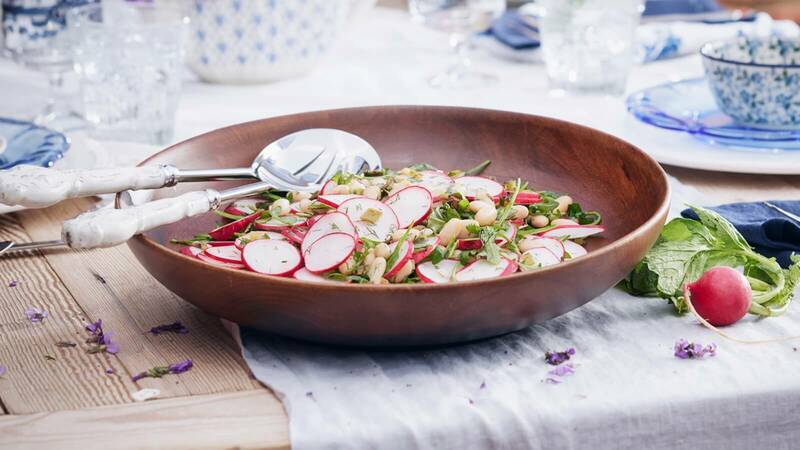 Add radishes, beans and arugula to bowl and toss gently to coat with vinaigrette. Serve immediately.